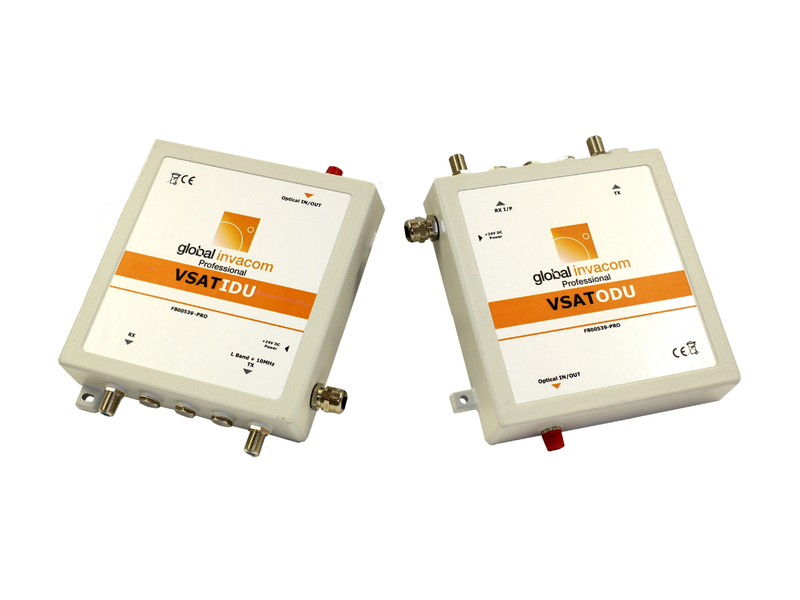 The Global Invacom Professional VSAT Fibre Link product has been designed to convert both the Transmit and Receive RF signals along with the 10MHz reference onto one fibre cable. 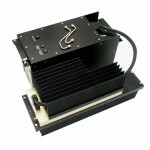 This unique product allows for very long Fibre cable runs between the Antenna and Modem and also allows the system to pass through Optical rotating joints for use on movable platforms. The product also allows the multiplex of the Data control signals onto the same fibre core for the control of steerable Antenna systems. The system does require a power source for each converter end. Whilst the basic system comprises just two modules & power supplies, fully IP 65 rated external enclosures with all interconnects completed and ready for installation are available as well. 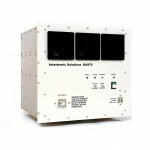 The unit is also available in a 19" rack mountable shelf unit with redundant PSU for added peace of mind and again, all interconnects pre terminated. These benefits make the VSAT Fibre Link product an excellent choice for interfacility links for satellite earth station and maritime applications.